Guess what everybody? This April, New York is going to get a very important visit! That’s right, the Popemobile is coming! We couldn’t be more excited. We’ve always wanted to see the Popemobile in person. It’s such an honor that the Popemobile is visiting the city during our lifetime; it’s only been here four times before, in history. Apparently, the pope-mobile is going to go down to ground zero and even take part in a giant Mass at Yankee Stadium (last time the pope-mobile was here, it visited Shea — the Popemobile, of course, is a nonpartisan car). During the pope-mobile’s most recent visit to the Big Apple, in 1995, it was carrying Pope John Paul II. 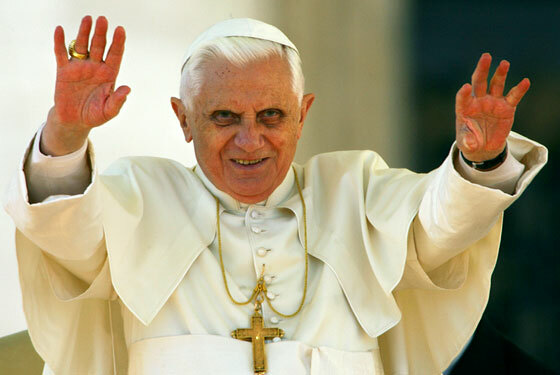 This time it will be carrying Pope Benedict XVI. Benedict was last in the city before he was pope, in 1988, when his arrival was met with protests by gay groups because he called their sexuality a “moral disorder” and also by Jews because he thinks that they should become Christian to get “perfected” (well, he said Judaism “finds its fulfillment” in Christianity, but the pope doesn’t go on as many talk shows as Ann Coulter so he can’t be expected to have his rhetoric quite so down pat). Anyway, we can’t wait to go see the Popemobile when it comes. It’s really caught up with the times. We hear it has power steering now!